Did you know that almost all mobile phones included a dot on the “5” numeric key, so that blind users can feel it and press the other keys accordingly? However, one has to wonder how will these people be able to read text messages… Designer Seunghan Song has the solution : the Universal Phone concept, pictured below. 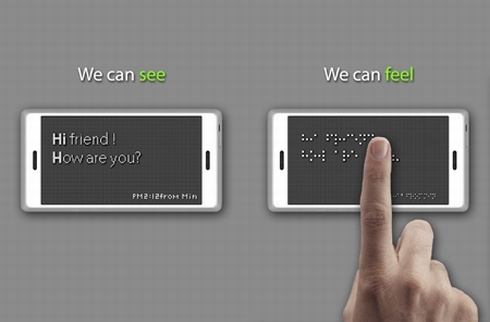 This is a phone for blind people, but users without any impairments can take advantage of its features as well. 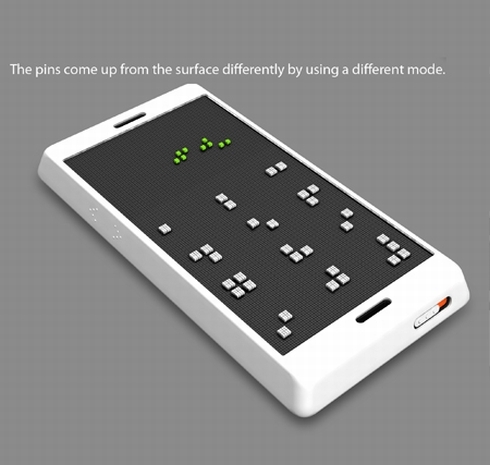 Its keypad features thousands of micro pins, that get lowered or raised in different modes, transforming into a Braille platform that can be “read” by people with sight impairments. 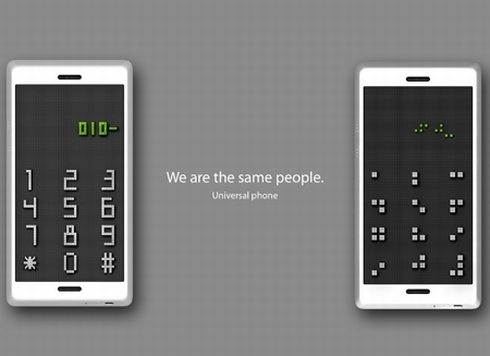 Thus, the Universal phone enables blind people to read and write text messages. 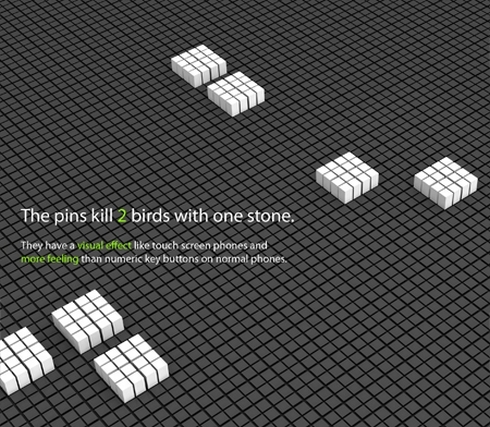 Innovative and helpful concept, at the same time!